You may have heard about a new entity called the Trademark Clearinghouse, and if you are a trademark owner you may be thinking about registering with it. Although it is a legitimate organization, not a scam, I have no doubt that some enterprising and imaginative characters will soon be using it as the basis for perpetrating fraud and deceit. As and when I hear about them, I shall let you know. You can watch a short promotional video at www.trademark-clearinghouse.com. In the meantime here are a few key points about the venture. As you know, the fact that you own a trademark does not prevent somebody else from intentionally registering a domain name that is identical or confusingly similar. It should stop them, but it doesn’t. With a new set of generic top-level domains (gTLDs) coming online soon, more infringements seem almost certain. So on March 26, a new form of protection came into effect for the owners of federally registered trademarks. The goal of Trademark Clearinghouse (set up by ICANN, the Internet Corporation for Assigned Names & Numbers ) is to make it easier for trademark owners to stop somebody from registering domain names that infringe their trademark rights. “Trademark portfolio management was never easier and more efficient,” says the official website. Claims like this tend to raise my antennae, but the company may turn out to be a worthwhile investment for some trademark owners, particularly those with several marks. So I am giving this news a cautious welcome while raising a few flags for clients who might be considering registering their marks with the Trademark Clearinghouse. The first point to note is that the program does not cover all trademarks. If you have registered your trademark or service mark with the United States Patent & Trademark Office (USPTO) you can register with the Trademark Clearinghouse, as you can if you are the assignee or licensee of a federally registered mark. On the other hand, if you registered your mark at the state level but not with the USPTO – or have not registered it at all – your mark is not eligible. Second, the Clearinghouse will not enforce your rights; that is not part of the service. All it will do is alert you when somebody tries to register a domain name similar to your trademark. However, as an aside I should mention that there is a new process for enforcing your trademark rights against a domain-name infringer, and it promises to be faster and less expensive than the current Uniform Domain Dispute Resolution Policy. The Uniform Rapid Suspension System (URS) will still require that the trademark owner prove that the other party has “no legitimate right or interest” and that both the registration and use of the domain name were in bad faith. Although ICANN has not published the URS filing fee yet, I suspect it will be in the $300-500 range. By the way, the URS is distinct from the Trademark Clearinghouse’s own dispute-resolution process, which only applies to disagreements over the company’s decision to accept or reject a mark for inclusion in its database. Speaking of disputes, if you do register with the Trademark Clearinghouse but become so dissatisfied that you feel inclined to sue the company, please bear in mind that their contract contains a jurisdiction and choice-of-law clause: you would have to file suit in Belgium, specifically Brussels. I happen to have visited Brussels in my childhood, but (in case you were wondering) am not licensed to practice law there. Policing your trademarks takes time, energy, and other resources, and it’s possible that the Trademark Clearinghouse could reduce some of these costs and make it easier for you to prevent confusing domain names from diverting online traffic away from your site. Over the next few weeks, as the program becomes operational, I expect to learn more about the pros and cons. Whatever I find out, I’ll post right here. Some aspects of intellectual property law are inherently complex. But other areas could be — and should be — much simpler. For example, you would think the law would have a crystal clear answer to this question: When a retailer is selling something produced by a famous manufacturer and wants to advertise the fact, is the retailer allowed to use the manufacturer’s name in its advertisements? The plaintiff, Swarovski, makes crystal products. The defendant, Building #19, bought some Swarovski products in order to sell them at its stores. To that end, Building #19 designed some advertisements, which informed the public that (a) it was offering Swarovski products for sale; and (b) Building #19 had no connection to Swarovski and was not an authorized Swarovski dealer. The advertisements prominently featured the mark Swarovski (replete with the circled-R registered trademark symbol). The disclaimer was much less prominent. Swarovski sued Building #19 and managed to obtain a preliminary injunction. Yes, indeed: Swarovski persuaded a United States district court judge to prohibit Building #19 from using the word Swarovski in an ad that stated, truthfully, that the company was selling Swarovski crystal collectibles. How, reasonable readers may wonder, was Building #19 supposed to promote its perfectly lawful sale of Swarovski products without using the name Swarovski? That is a question the district court can mull over at its leisure now that the Appeals Court has quashed the preliminary injunction. In trademark law, the term we use to describe this situation is “nominative fair use.” This is the judge-made principle that allows you to use another person’s trademark so long as you’re not trying to mislead anyone. The Appeals Court noted that although the First Circuit recognized nominative fair use it had “never endorsed any particular version of the doctrine.” I respectfully submit that now would be a good time. Business owners, creators, and the general public would appreciate some certainty. New York Jets quarterback Tim Tebow is in the news over rumors of a trade. Before that, the headlines were about his trademark. Wherever Tebow plays football, it seems a safe bet that he will be trying to control the use of the word “Tebowing,” a term that describes the Christian athlete’s practice of dropping to one knee in prayer. For fans and non-fans, faithful and faithless alike, Tebow’s recent experience with trademark law has three lessons. But before the lessons, some background. In December 2011, Tebow filed a set of intent-to-use applications with the United States Patent and Trademark Office (USPTO) for the words “Tim Tebow” in connection with products such as jewelry, clothing, DVDs, and stationery, and services such as online seminars. The USPTO published three of the applications for opposition in the Official Gazette on October 16, 23, and 30 respectively. If nobody objects during the 30-day opposition period, Tebow’s name will become a federally registered trademark in three different classes in time for the holidays. But Tim Tebow’s are by no means the only Tebow-related applications the USPTO has on its docket. There are currently seven live (and three dead) applications for the mark “Tebowing,” a verb that entered the lexicon in October 2011, according to Wikipedia. That was the authority the USPTO cited when it rejected the trademark application of Jared Kleinstein on February 22, 2012, a fact replete with irony in view of the fact that it was Kleinstein who – according to Wikipedia – coined the term Tebowing. Kleinstein had filed his application (serial no. 85458244) to register “Tebowing” on October 27, 2011. Along with his application he submitted a screenshot showing a list of t-shirts he had sold that day via Café Press. But before Kleinstein’s application could make it to the Official Gazette, Tim Tebow himself intervened. In January 2012, Tebow’s attorney sent the USPTO three letters of protest complaining that Kleinstein’s mark would cause consumer confusion: Consumers would presume a connection between the trademark and Tim Tebow. As evidence, Tebow’s counsel pointed to the athlete’s sponsorship deals with Nike, Jockey Apparel, and Electronic Arts. The USPTO concurred and refused Kleinstein’s application because it implied a false connection with a living individual, contrary to 15 U.S.C. section 1052(d). Was that the end of Kleinstein’s application? No, it rose again and now –made reincarnate – has a new applicant, namely XV Enterprises, an LLC organized in Florida, with a business address of 5082 Hampden Avenue, Suite 115, Denver, Colorado. As the Hampden Avenue neighborhood might suggest (Temple Sinai on one side and Bethany Lutheran Church on the other) the owner of XV Enterprises is Tim Tebow. So how did Tim Tebow’s company end up with Jared Kleinstein’s trademark application? The process seems to have involved nothing more miraculous than money. On May 10, 2012, Kleinstein assigned his trademark application to XV Enterprises “for good and valuable consideration.” Unfortunately for those of us who are curious about these things, the assignment does not state the number of dollars that moved from Tim Tebow to Jared Kleinstein. With Tebow’s XV Enterprises as the applicant, the USPTO published “Tebowing” for opposition October 9, 2012. The 30 day opposition period runs until November 8, so if you have a legitimate claim to the mark “Tebowing” and do not wish Tim Tebow to acquire the exclusive, nationwide right to use it in commerce, you should act swiftly. In the meantime, what lessons can we draw from the mark’s sojourn in the USPTO? Tim Tebow’s lawyer did not wait until the post-publication opposition period. 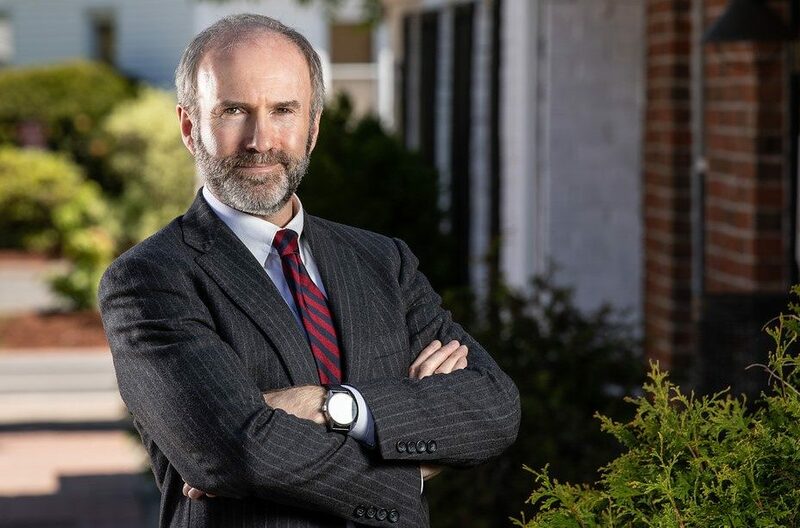 He filed a letter of protest, a powerful weapon that enables third parties – not only the owners of competing marks – to step into the USPTO’s examination process at an early stage. Although it is an informal document, a letter requires factual, objective evidence, not mere opinion. But the evidentiary standards are not onerous. So trademark owners and concerned citizens who learn of applications with the potential to cause consumer confusion should not sit on their hands. Jared Kleinstein assigned his mark and “the goodwill associated with it” to XV Enterprises. As any intellectual property practitioner knows, you cannot assign a trademark in gross. What does that mean? It means that when you transfer trademark rights, you must convey not simply the mark, but also the goodwill associated with it. The “amorphous goodwill concept,” as Professor Robert Bone calls it, refers to a mark’s consumer loyalty, but remains “abstract, and notoriously difficult to define.” Business owners and their attorneys should not fret unduly about the precise meaning of the word; all we need to remember is to include it in the assignment. Tim Tebow is a resident of New Jersey, according to his Facebook page. New Jersey is one of the states that recognizes the right of publicity, which allows individuals to control the commercial exploitation of their name and likeness. Unlike federal trademark protection, the right of publicity does not depend on you registering your name anywhere, filing renewals, paying a fee, or using it in interstate commerce. These are clear advantages. On the other hand, whether you actually have a right of publicity depends on where you live. Almost half the states do not recognize it. Of those that do, only some have enacted statutes to delineate its scope; in the others it remains a common-law right and, therefore, less predictable. As a practical matter then, if your name has value in the marketplace, registering it as a trademark would be wiser than simply relying on the right of publicity. Finally, it is worth remembering the power of parody. Although the Lanham Act does not explicitly provide fair-use exceptions like parody the way the Copyright Act does, judges are tending to imply it so as to uphold the First Amendment. This evolving area of law may affect Tim Tebow, because among the other entrepreneurs seeking to turn Tebow’s fame to their pecuniary advantage is Daniel Gordon of New Jersey. He has applied to register the word Tebow within the outline of a fish (think Jesus fish and Darwin fish). Does he have a prayer? Stay tuned. President Obama’s reelection campaign is suing to prevent Demstore.com, a purveyor of political paraphernalia, from selling merchandise with the Obama rising sun logo. A recent story in the Washington Post describes the issues and the stakes. As well as reminding us that there is no constitutional wall of separation between politics and commerce, the lawsuit reveals some noteworthy differences between the President and the Republican nominee, Mitt Romney. Back in 2008, Obama For America (OFA), a nonprofit corporation, registered the sunrise logo as a trademark with the United States Patent & Trademark Office (USPTO). 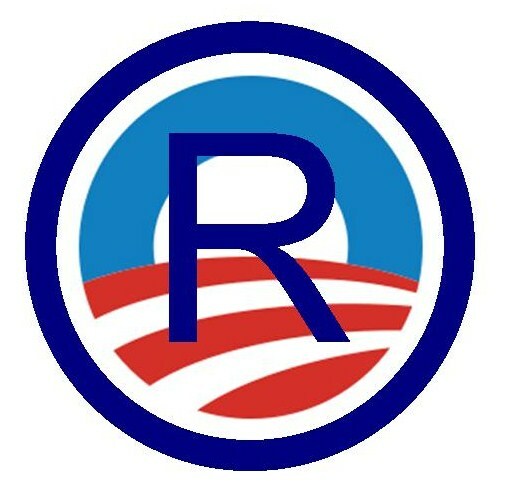 Federal registration is evidence of the owner’s exclusive right to use the mark in commerce, and this is the basis for OFA’s action against Demstore.com. On June 1 OFA filed suit in the federal district court for the District of Columbia and on July 9 the court granted OFA’s request for a preliminary injunction, enjoining Demstore.com from using the trademark on its merchandise. What high-minded political principle is at issue here? Money. Tens of millions of dollars. According to OFA’s complaint, the “sale of merchandise featuring the Rising Sun Trademark makes up a significant portion of OFA’s revenue [and]… each time a supporter makes a relatively small purchase on the website, OFA obtains that individual’s contact information, which OFA can then use to reach out to that individual repeatedly to seek further donations and further opportunities to promote the Campaign.” By selling rising sun products, Demstore.com is allegedly free-riding and eating into OFA’s market share. The OFA trademark registration (number 3541038) covers several classes of goods and services, among them “baby clothing, namely onesies.” Mitt Romney’s trademark application (number 77231852) refers to onesies as “infant and toddler one piece clothing.” At most this distinction may reflect the differences in the respective campaigns’ communication styles. But the biggest difference between Obama’s approach to trademark rights and Romney’s is this: Obama saw his application through to the end; Romney abandoned his. “[A]n eagle-like bird with a head and beak and body that resembles a billowing flag” is how Romney’s 2007 application described the candidate’s trademark. 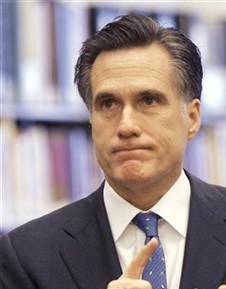 Romney’s application cast a wide net, attempting to register the mark for 14 separate classes of goods and services. However, it seems that in stating that it would use the mark on products as diverse as money clips, deck chairs, umbrellas, shot glasses, cocktail shakers, hair bows, golf tees, drinking water, and, of course, “infant and toddler one piece clothing,” the Romney campaign may have over-reached. First they failed to file an Allegation of Use in connection with all 14 classes (a requirement for intent-to-use applications), and then failed to respond to the USPTO’s letter on the subject. So in October 2008, the USPTO deemed Romney’s application abandoned. One campaign rigorously upholds its trademark rights. The other makes sweeping claims that it cannot support. Intellectual property aside, does this tell us something else about the candidates?